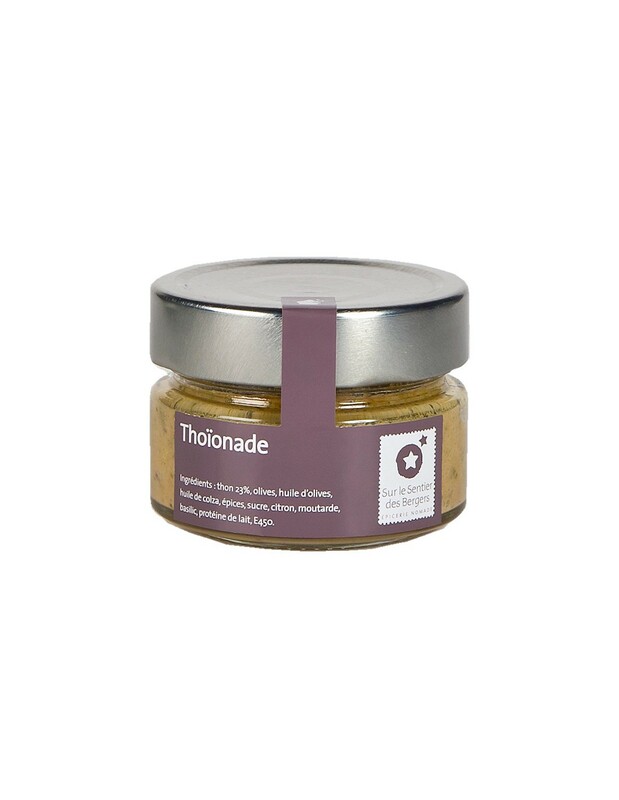 The thoïonade (tuna cream) is based on a subtle blend of crushed olives accompanied with tuna, slightly seasoned with basil and a hint of lemon. 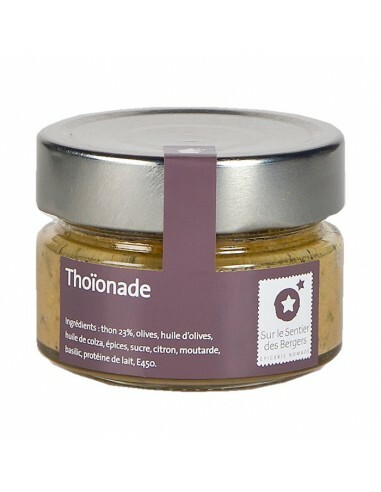 The thoïonade is ideal to spread on bread for appetizers or serve with vegetables as an aperitif. It can also be used as a base in a savoury pie or toast for an aperitif. Tuna (23%), olives, olive oil, rapeseed oil, spices, sugar, lemon, mustard, basil, milk protein, stabilizers E450, E452, E451.